Two-year-old Clark Cutler of Malta, pictured practicing walking with his mother, Jen, and father, Jason, has been diagnosed with Pelizaeus-Merzbacher disease, a type of leukodystrophy. 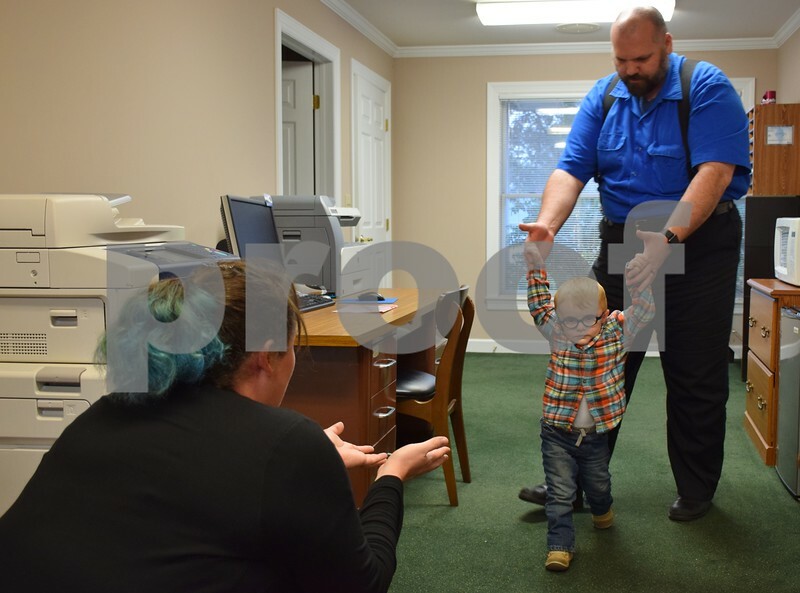 Because of his young age, it is unknown whether Clark will be able to walk or talk, but his family travels with him to Indiana and Chicago to see doctors and specialists and he attends physical, occupational and speech therapies. He also attends hippotherapy, or therapy on horseback, at Heightened Potential Co. in Kirkland.